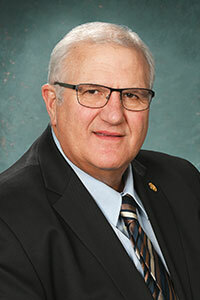 LANSING, Mich. — The Michigan Senate on Wednesday approved Sen. Dale Zorn’s legislation designed to help spur business investment in Michigan border communities. “In the last six years, Michigan has created more than 480,000 private-sector jobs — a positive record of results for Michigan residents,” said Zorn, R-Ida. “We must continue to help encourage creating new jobs in our state. While Michigan offer economic development assistance to help foster job creation in our state, the current requirements for these incentives put local towns and counties along Michigan’s borders at a huge disadvantage. The Michigan Strategic Fund provides grants, loans and other economic assistance to qualified businesses that make investments in Michigan or provide “qualified new jobs” in the state. Currently, a “qualified new job” means a job performed by an individual who is a Michigan resident. Senate Bill 1085 would expand the definition of a “qualified new job” to include a job performed by a non-Michigan resident who is employed by a business that is located in a Michigan border county. 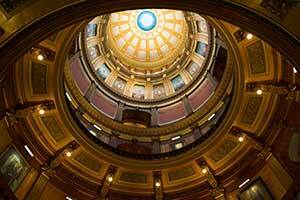 SB 1085 now heads to the Michigan House of Representatives for consideration.